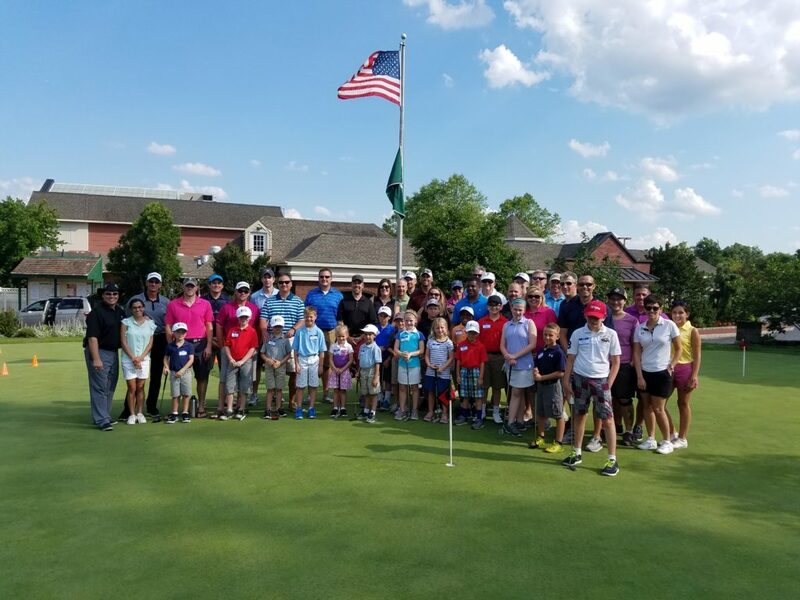 The Sunday Night Junior Golf Program at Talamore Country Club is designed to give Juniors ages 6 – 14 the opportunity to learn about golf; enjoy competition; and spend quality time with family and friends. Parents and/or family members are strongly encouraged to participate in the program and there must be at least one parent with their children during the camp at all times. 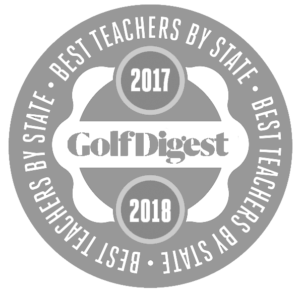 Our camp includes instruction, on-course play as well as skills competitions, prizes, gifts, Academy Hat, Bag Tag, Ball Mark Repair Tool and much more! As Juniors become more serious about the game we offer Private Golf Coaching with our Junior Discount Packages. Juniors will be broken into groups using a combination of age, ability, experience and parental preference. We will try to limit the groups of juniors to no more than 10 in order to maximize individual attention. 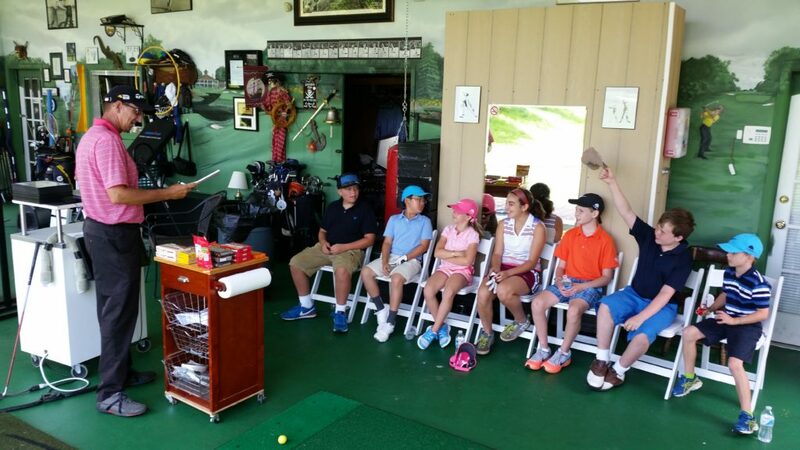 Juniors will enjoy instruction, skills competitions and on-course play. 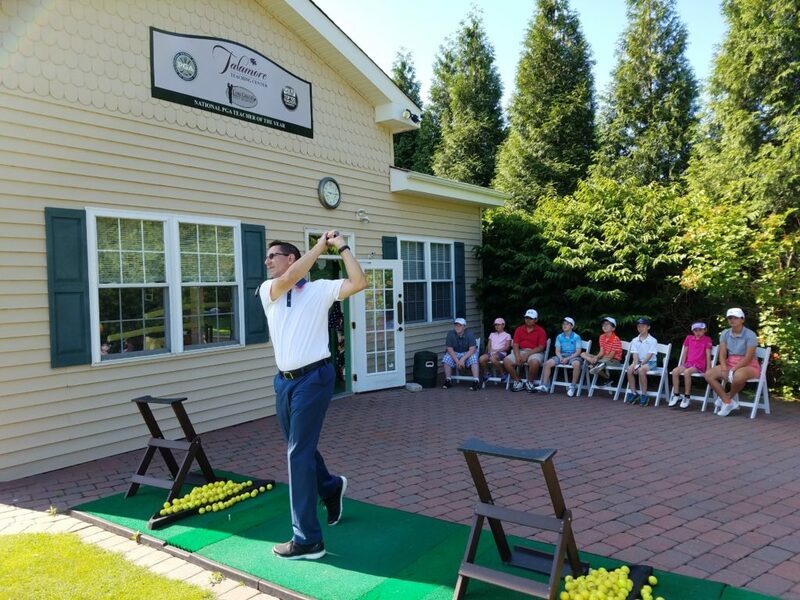 Our staff of PGA Professionals and selected players from local college and high school teams will be teaching and supervising each week along with a Parent of a Junior. Once signed up, juniors may participate as often as they wish. Weekly attendance is not mandatory and pricing has been structured to accommodate 1 Rain Date. 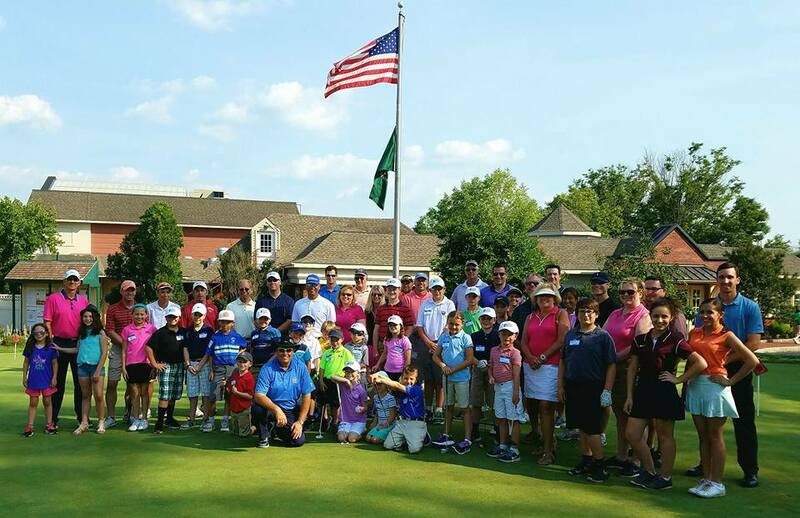 High School Kids and Advanced players will be responsible for mentoring kids 12 and under. College Students will be responsible for mentoring 13 thru 15 year old kids. Each junior is expected to have his/her own clubs. Please note that the focus of this program is an introduction to golf in a setting where families can spend quality time together . 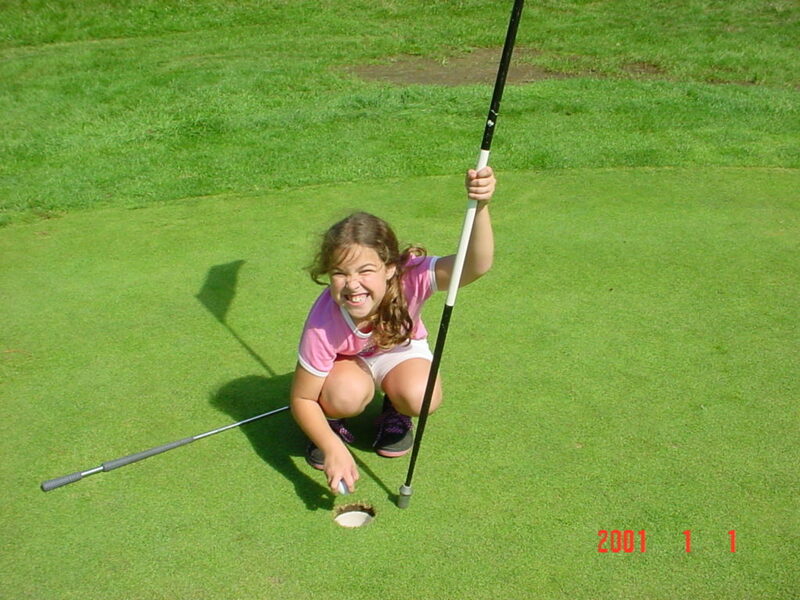 We need help from each parent to reinforce and monitor proper course etiquette (ie. fixing divots, pace of play, repairing ball marks). 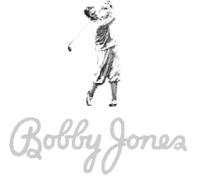 This program is ideal for those children who are beginner to intermediate players and want to get more involved in the game of golf. Proper Golf Attire for Kids & Parents.